Following reports on the use of nerve gas on the population and the alarming data of the United Nations on the number of children dead during the conflict (over 7,000) and of children refugees (over 2 million)it seems that something is moving. The US, still the only real “policeman” left in the world (albeit an indebted and troubled one), talks about various military options, and mentions a “Kosovo” scenario. The Kosovo precedent is important. What happened in Kosovo in 1999? The Serb minority living in the territory, with the massive help of the Serbian government led by Milosevic (who was later accused of crimes against humanity) had been launching waves after waves of attacks against the Albanian majority living in the territory. The balance on the ground was obviously tilted towards Belgrade and there was a serious threat of “ethnic cleansing”. In 1998, the UN Security Council had already declared that the deterioration of the situation in Kosovo constituted a “threat to peace and security in the region” (prelude to any action under Chapter VII of the UN Charter) and had demanded a “ceasefire and action to improve the humanitarian situation”. The Council also had determined to “consider further action and additional measures to maintain or restore peace and stability in the region”, but it had stop short of authorizing military measures. It was clear in fact that Russia and China would have vetoed any such resolution. 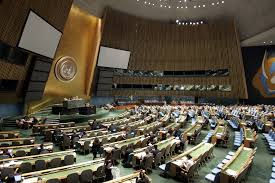 A subsequent resolution reiterated the demand on Serbia to “comply with the previous resolutions”, but failed to authorize expressly any military action. Still, it was on the basis of this latter resolution that NATO felt authorized to act, as it did when it commenced air strikes on March 24,2009 launching a 78 days bombing campaign targeting Serbian infrastructure and cities too, apart from the troops on the ground in Kosovo. NATO was accused by Russia of having acted in the absence of a UN mandate. However, one of the justifications given by the countries who supported the NATO action was the need for “humanitarian intervention”, which was compatible with the UN Charter. The US, Germany, Spain and the UK referred also to the impending “humanitarian catastrophe” as justification for taking part to the military action. Kosovo is one of the casebooks, together with the air campaign in Northern Iraq to protect the Kurds (1991), Rwanda (1994, where unfortunately nothing was done to prevent mass killings), Somalia (92-93), Sierra Leone (1997) Timor East (1999) and, more recently Libya, supporting a fascinating theory elaborated by prominent politicians and scholars at the beginning of this century: the “Responsibility to Protect”. The fact that we hardly talk about this concept anymore is an indication of how badly the financial crisis originated in the US has hit the “West” as a whole, diverting attention to more pressing issues at home. However, back in 2005-06, it was a hot topic in political and military circles. According to this theory, to put it short, external military intervention in a sovereign country is possible in situations where there are mass atrocities with large scale loss of life occurring or threatened and the government is either unable to maintain law and order (or halt the descend into anarchy), or is itself the perpetrator of mass atrocities. Theorists of the responsibility to protect clarify that military intervention can only be the last resort after other means have been tried unsuccessfully, it is urgent in order to save major loss of lives and that it should not have other political objectives, such as regime change. The humanitarian objective needs to be predominant (this is also why George W. Bush wars in Iraq and Afghanistan could never be seen as a case of humanitarian intervention, whereas Kosovo, Sierra Leone and Timor East are). Finally, the intervention must be proportional and must be able to have an impact, meaning that it should not make things worse for the affected population. The theory does not say that in cases of civil war, like in Syria, intervention is not permitted: even in a civil war, one side can have the upper end and perpetrate atrocities on the other side. Historically, the US, France, the UK have supported the “Responsibility to Protect”. China and Russia (two veto yielding powers in the UN Security Council) however have only mildly supported the concept, insisting that any military action needs to be authorized by the UN Security Council under Chapter VII of the UN Charter. Of course, this means that any veto yielding power could block any such action if it wishes, precisely what Russia and China threatened to do in Kosovo and are threatening to do in Syria. Significantly, while the UN Security Council has been deadlocked, in 2012 the UN General Assembly has clearly criticized the Council for its failure to act and has condemned in much stronger terms the violence perpetrated by the Syrian government calling even for a “political transition”. So, there seems to be a broader support for some sort of action to de-escalate the Syrian situation. Europe, sadly, is divided. I wrote about this before and I won’t say it again: these divisions only make Europe weaker and more irrelevant. The French and the British seem to be wanting to go along with the US on a limited “Kosovo-style” campaign. This is understandable since if Assad will use again chemical weapons, those who will be blamed for “having done nothing” will be precisely the US and the two (former) Western powers. The Germans and Italians instead seem to be waiting for a UN Security Council endorsement which they know precisely will never come. Meanwhile, the public opinion in Europe forgets to put the blame for the disaster squarely where it belongs: with Russia and China. And this is absurd since in the past two years they have prevented the UN from exercising any real pressure, even when the Arab League had turned its back on the dictator. It is not that Russia and China are “evil” (for the record, the US has vetoed as many resolutions as the former Soviet Union in the history of the Security Council). The problem with Russia is its economic and military ties with the country, which it feels would be threatened by a fall of Assad. Perhaps it should be possible to find an arrangement to provide some assurances to Russia. The problem with China is more “philosophical” and therefore more serious: for fear that the “responsibility to protect” may be used to interfere with its own brutal treatment of separatist movements, it likes to be seen as sticking to the “old” concept of sovereignty, one that is absolute and unlimited. But the world is slowly moving away from the idea that a sovereign can do whatever he wants to his own subjects. Sovereignty is seen more and more also as “responsibility”. Besides, the UN Charter and the Universal Declaration of Human Rights as well as other conventions regarding the right of non-combatants during conflicts as well as civil and political rights have strengthened the concept that populations have rights also under international humanitarian and human rights law and that these cannot simply be denied because a sovereign has decided to do so. Coming to Syria, in my mind no one should doubt Bashar Assad’s willingness to stay in power and to exterminate the rebels, their wives and children, as his father did some decades ago in Hama. After Rwanda, the world said that we would have never allowed another massacre to happen. It appears that another one is about to happen if the Alawites get the upper hand: to stand still and do nothing does not seem an option, regardless of the fact that we find ourselves in the notorious Middle East quagmire. Having said that, if the US and other countries (including the Arab League) want to get any legal backing for their actions, they need to stick to the basic tenets of the “responsibility to protect”: protect the population without pushing for a regime change from the outside. Kosovo is an appropriate example because NATO intervention was limited at weakening the offensive capability of Milosevic’s army; there was selected bombing of Serbian targets, no ground invasion and although indirectly the war caused the fall of Milosevic, there was no direct attempt to change the elected Serbian government: Milosevic was booted out by its own people after the 2000 elections. A Kosovo-style campaign in Syria seems to be possible, and probably welcome.